Tandoori masala is an Indian spice mix consisting of cumin, coriander, cloves, cinnamon, ginger, garlic, chili, turmeric, mace, and salt. "Tandoor" refers to a type of clay oven first used in India that allows for high-heat cooking. "Masala" in Hindi -- one of the main languages spoken in India -- means "seasoning." Tandoori masala is used to flavor many Indian dishes. You can make this spicy mix ahead of time and store it in an airtight container. Creating a tasty meal will then be a simple matter of marinating and grilling your dish. Dry-roast the cumin, coriander seeds, cloves, and cinnamon sticks in a pan on a low flame, until they begin to release their aroma. Remove the mixture from fire and allow it to cool. Grind the ingredients in a coffee grinder to make a smooth powder. Store the mixture in an airtight container for up to 6 to 8 weeks. If you do not want to use food coloring, substitute it with 20 grams of Kashmiri red chilies. They provide a terrific color without as much heat as other varieties of dry red chilies. 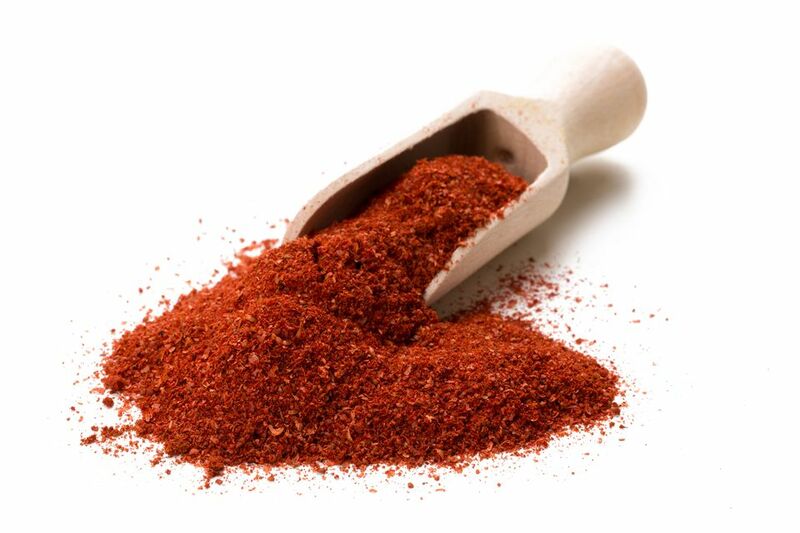 If you are using Kashmiri Red Chillies, omit the chili powder from the recipe. Before you use the chilies, lightly toast them in a hot pan until they are aromatic, then grind them into a fine powder in a clean, dry coffee grinder.